Newark is the most dangerous city in New Jersey, Tallahassee is the most dangerous city in Florida, and South Bend is the most dangerous city in Indiana. But instead of fixing their failed cities, the current mayor of South Bend, and the former mayors of Newark and Tallahassee want to run for president. 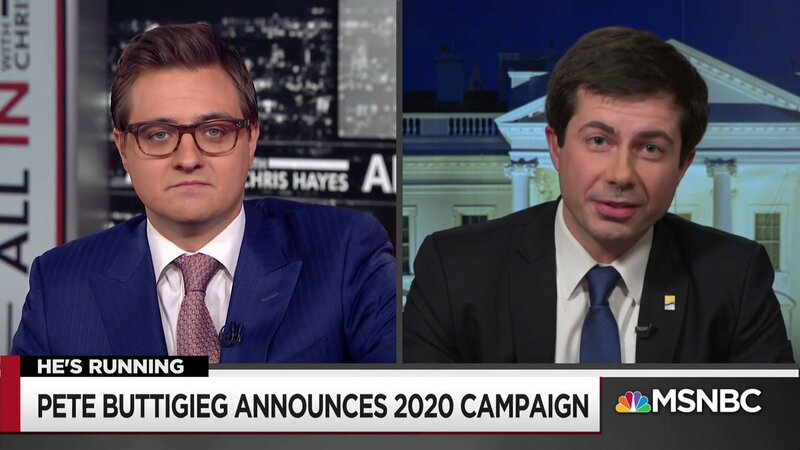 Mayor Peter Buttigieg has announced that he’s forming an exploratory committee for a 2020 run. Media reports have focused on the possibility that he might become America’s first gay millennial president, instead of on the fact that he’s headed a city since 2011 which has double the national and statewide violent crime rates. And a city where Hispanic poverty rates are 10% higher than the national average, African-American households have double the poverty rate, and Asian-American incomes are halved. South Bend was recently rated one of the “worst cities” to live in. The unemployment rates are higher than average, the property values are lower, and even the water quality is below average. Gushing media reports about the gay millennial mayor, a Harvard grad and a Rhodes scholar, overlook South Bend’s poverty rate of 24.7% and that 45% of households are living near the poverty level. South Bend has a little over 100,000 residents, but there were over 100 criminal shootings in 2017 in the failed city which hosts murderous gangs such as the Latin Kings and Gangster Disciples. In January 2019, just as Buttigieg was prepping his presidential run, three shootings in one week killed two teens and left a woman paralyzed from the waist down. In one summer week, the casualties included a 12 and a 13-year-old. In March, 6 people were hurt in one shooting spree. Buttigieg’s past is a poverty-stricken murder capital so it’s understandable that he would want to walk away from its blighted streets, wrecked industry and general misery to focus on his political future. 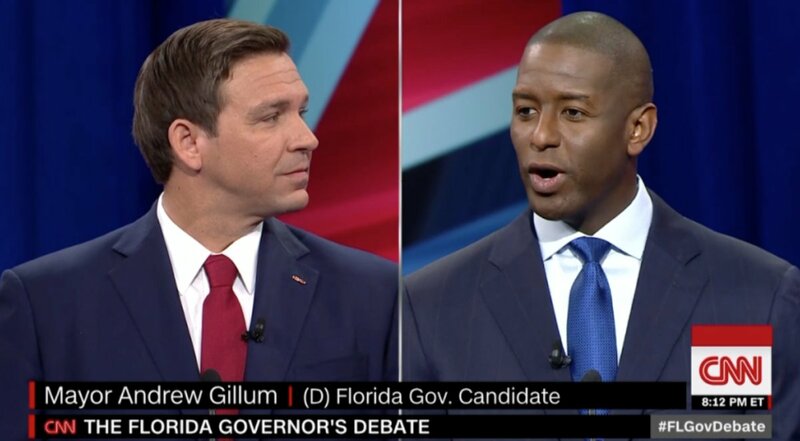 Andrew Gillum, the former Tallahassee mayor, coming off a humiliating defeat in the Florida gubernatorial race and still struggling with an ethics complaint tangled in an FBI investigation, also wants to throw his tattered hat into the 2020 ring. Tallahassee’s murder rate tops bigger cities in Florida. And Leon County’s murder rate rose 83% in 2017. “Tallahassee had the highest number of murders in history last year and we top the state for the highest crime rate,” his former chief of staff warned in his own campaign. The poverty rate in Tallahassee is at 28.4%. That’s even worse than South Bend. One single zip code in Tallahassee has the highest concentration of poverty in Florida. 1 in 5 adults in Leon County have trouble reading. And even Florida State University had more violent crimes on campus than any other state school. That’s another reason why the Florida city was also ranked as one of the worst places to live in America. There’s no conceivable reason why running South Bend or Tallahassee would qualify you for higher office, lower office or even any office at all. But Cory Booker exploited his tenure running the worst city in New Jersey to represent the entire state in the United States Senate. Booker has also joined the dozens of candidates vying for the opportunity to be the Democrat nominee for the White House. Booker first became a national figure as Newark’s mayor. The charismatic politician got famous by promising to turn the troubled city around using a Twitter account and viral stunts that got him national headlines, but did nothing for the city he was running into the ground. 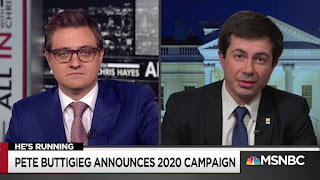 And then, as Buttigieg is trying to do, he got out of there as soon as he could, using his new celebrity as a springboard to higher office. Like Tallahassee and South Bend, Newark is one of the country’s murder capitals. And it’s been listed as the most violent city in its respective state. It’s also one of the worst cities in the country to live in. That’s why the majority of people who work in Newark actually live away from the troubled city. Like South Bend and Tallahassee, around 1 in 4 Newark residents live in poverty. A report this year listed Newark as the 3rd neediest city in America. A year after Booker jumped ship to become a senator, a report found that 18% of children in Newark were living in “extreme poverty”. The adult literacy rate in Newark is 52% making it the city with the fifth highest illiteracy rate in America. How does the mayor of a city with the 5th highest illiteracy rate and the 3rd neediest residents actually aspire to higher office with that miserable track record of failure and human wreckage? Mayor Booker based his claim of having turned Newark around on all the outside money he brought in. Where all that money went is an intriguing question that will gain urgency if he becomes the nominee. In a typical viral stunt, Booker had appeared with Facebook boss Mark Zuckerberg and Governor Chris Christie on Oprah where the dot com billionaire announced that he was donating $100 million to Newark’s public schools. That gift was supposed to be matched by another $200 million in donations. Millions were spent on $1,000 a day consultants. Union fat cats got fatter. The Foundation for Newark's Future squandered the money. And Booker was one of the five trustees of the Foundation. In the summer of 2016, Booker positioned himself for a presidential run with a rousing DNC speech. But a few months earlier, the water in half of Newark public schools was found to be contaminated with dangerous levels of lead. Newark already had more children suffering from dangerous levels than Flint. But, unlike Flint, the media refused to hold Booker, his predecessor or his radical successor, accountable for the horror. South Bend, Tallahassee and Newark are tragic case studies of how the media’s appetite for charismatic minority politicians playing savior to troubled cities ignores the suffering of the people living there. It is hard to see how anyone can look at Newark, South Bend or Tallahassee as success stories. And it’s even more unimaginable that the politicians tasked with turning them around should actually claim that walking away from cities with some of the highest poverty, murder and illiteracy rates in the country should qualify them to run the entire nation. They failed to turn around broken cities with populations between 100,000 and 250,000 people. Now they want to be in charge of a nation of over 300 million. The mayors of the worst cities in America want to run America. Their cities have been rated as the worst places to live. Do Americans really want the country to be more like Tallahassee, South Bend or Newark? FYI: If you got rid of the FSU football team crime in Tallahassee would be lower than the state average. And try not to toss your cookies. Newark is also the worst city to drive through. Camden, NJ scared me more than Newark. There is no reason to drive through Newark. Just stay on the highway. Don't even stop to buy gas. Mayor Buttigieg claims the stats (crime) for South Bend are wrong; he is right about that. I learned that South Bend and neighboring Mishawaka are NOT always making crime reports. I addressed the mayor about the matter during a neighborhood meeting (as well as another matter of concern). The mayor did not even bother to feign concern or interest. I lived in LA for 10 years prior to moving to Indiana. I never heard shots fired once in all that time. In 2014, my daughter and I heard numerous shots about 10 blocks away (a death resulted). Tonight, someone emptied a clip about two blocks away. Gunshots in this east side "family" neighborhood have become fairly commonplace and there is a facebook page to help track occurrences because we can't trust what we're told. As for the poverty, people have taken to stealing from cars nearly every night; my daughter's car window was smashed for a small bag of change (not visible). I walked to my vehicle one night to find someone going through it; though police "responded", a report was NOT made nor was the suspect seriously looked for (on foot). Pete HAS made informal and formal war against the homeless, though, as well as panhandlers in the downtown "image" area (residents are not worthy of protection but businesses are). I believe this is part of the reason for the increasing numbers of thefts from cars, garages, etc. Anything to get by ... the mayor is more interested in doing things like redecorating the city and pretending the (people with) problems don't exist; if that doesn't work, he tries to get rid of them rather than doing some actual fact-finding and looking for solutions that could alleviate some of the crime as well as the misery. Pete HAS managed to spend about $2 million dollars to keep police tapes under lock and key, even though a court ordered that they be released. If you decide to visit, travel at your own risk. Despite a yearly "wheel tax" the city "maintained" roads are absolutely horrible in spots. I had flats two days in a row from potholes/other damage to city streets. I recently saw stats indicating the poverty rate has RISEN from 24.7 to 26.7% (state is 13 - 15%, I believe). I'm sure Pete has a glib explanation for why things aren't better ... and actually, they really, really are. I'm probably just not smart enough to appreciate how much worse it would be without him ... I'm glad to know that at least he is walking away from South Bend. It's been obvious for some time that this city is nothing more than a stepping stone for him to advance himself. I previously lived here (2000 - 2006) and it's like a different world .... and that is NOT a compliment. But South Bend has smart streets and roundabouts!